In the day and age of the video game, it’s nice to see toys like this still exist. I actually bought a few for some son and plan on spreading out the distribution (Birthday, Easter, Christmas). This is also a toy that requires some parental involvement. 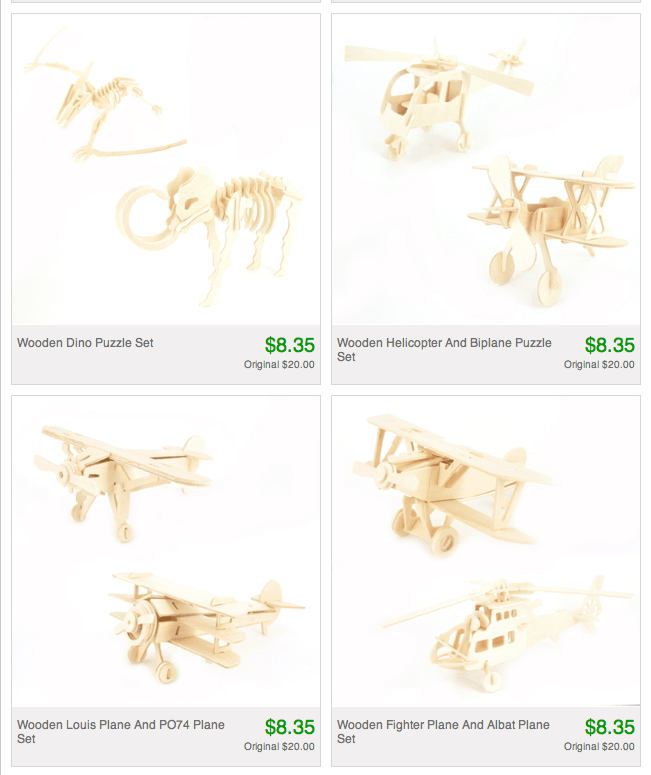 LOVE the idea of working with my boy on these planes and dinosaurs. Check out the rest of the sale on Totsy by clicking here. This isn’t the only flash sale going on today by the way. Every single day, Totsy posts a handful sales that are priced right and ready to go! I buy all of my kids’ clothing from the site because the bargains are unbeatable.